How Do I Turn Off Notifications On iPhone? Here's The Fix! You are at:Home»iPhone»Apps»How Do I Turn Off Notifications On iPhone? Here’s The Fix! You keep receiving notifications on your iPhone and you want it to stop. When Notifications are turned on for an app, it has permission to send you alerts constantly throughout the day, even if you don’t want to receive them. 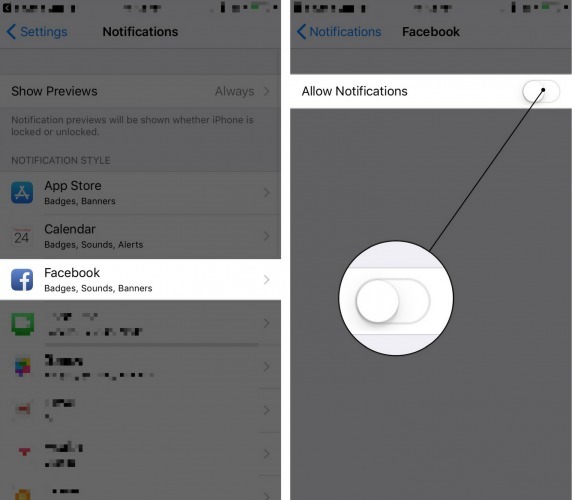 In this article, I’ll show you how to turn off notifications on your iPhone! Notifications are alerts you receive on your iPhone from a specific app. This includes things like new text messages or iMessages in the Messages app, live updates from your favorite sports team, or whenever someone likes your picture on Instagram. 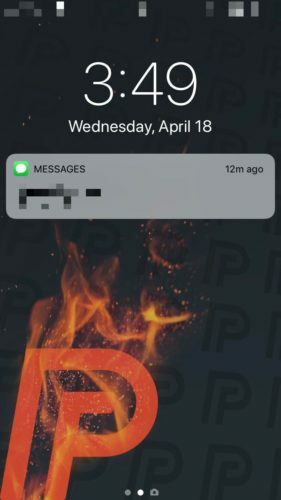 Notifications can appear on your iPhone’s Lock Screen, History, or as Banners (near the top of the screen) when your iPhone is unlocked. You can set notification Banners to appear temporarily (they’ll disappear after a few seconds) or persistently (they’ll never go away). So if you noticed that a notification would never disappear, you probably had Persistent turned on. To set notification Banners to appear temporarily, go to Settings -> Notifications and tap on the app that’s sending you Persistent Banner notifications. Underneath Show as Banners, tap the iPhone on the left side above Temporary. You’ll know Temporary is selected when it’s surrounded by an oval. To turn off notifications on your iPhone, go to Settings -> Notifications — you’ll see a list of your apps that can send you notifications. To turn off notifications for an app, tap on it and turn off the switch next to Allow Notifications. You’ll know the switch is off when it’s gray and positioned to the left. I Want To Turn Off Instagram Notifications! There’s also a way for you to temporarily mute Notifications. Maybe you’re in class or an important meeting and you don’t want your iPhone to be a distraction. 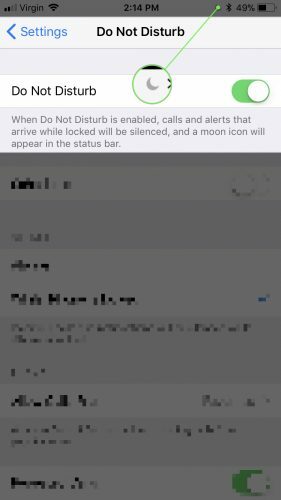 Instead of turning Notifications off and on again, you can use Do Not Disturb. 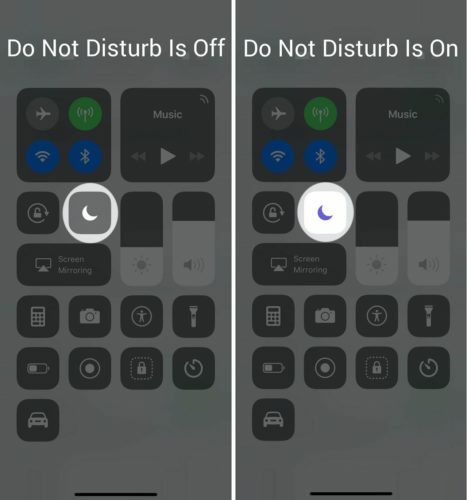 Control Center: Open Control Center by swiping up from below the very bottom of the screen (iPhone 8 and earlier) or by swiping down from the upper right-hand corner of the screen (iPhone X). Then, tap the moon icon. Settings: Open Settings and tap Do Not Disturb. Then, turn on the switch next to Do Not Disturb. Should I Turn Off Notifications? As I stated earlier, you probably don’t want to turn off notifications for every app. However, turning off notifications for apps when you don’t need them is a great way to save battery life. It’s so important that we made it step five in our article about ways to increase iPhone battery life! Perhaps the most common notifications people receive on their iPhone is Push mail. If mail is set to Push, you’ll immediately receive a notification when you an email arrives in your inbox. However, like Notifications, push mail can be a major drain on your iPhone’s battery. To turn off push mail, go to Settings -> Accounts & Passwords -> Fetch New Data. First, turn off the switch at the top of the screen next to Push. Then, underneath Fetch, select an amount of time. I recommend every 15 or 30 minutes, so you’ll receive emails almost as soon as they arrive and you’ll save some battery life. Furthermore, if you’re expecting an important email, you can always just open up the Mail app! New emails will always show up there, even if Push is turned off. You now know how to turn off Notifications on your iPhone! 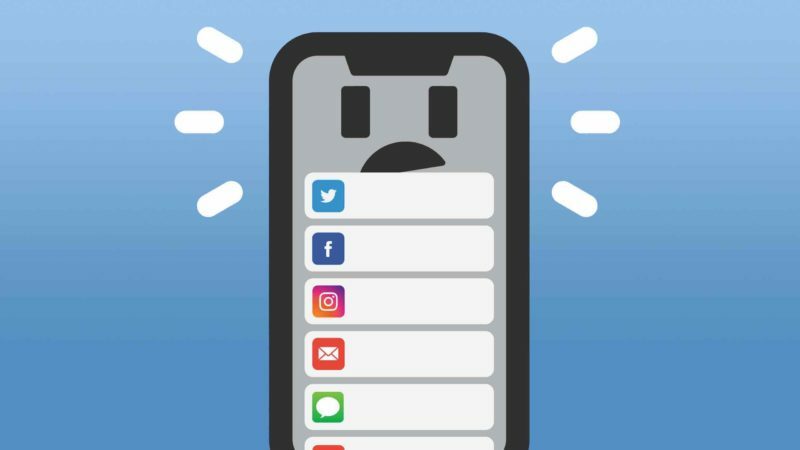 I hope you’ll share this article on social media to help your friends and family turn off their iPhone notifications too. If you have any other questions, leave me a comment down below! Previous ArticleDreamHost Promotion Code | Best Promo Code, Working In April 2019! Next Article Photos Missing On iPhone? Here’s Why & The Real Fix!